I love anything personalized or customized. 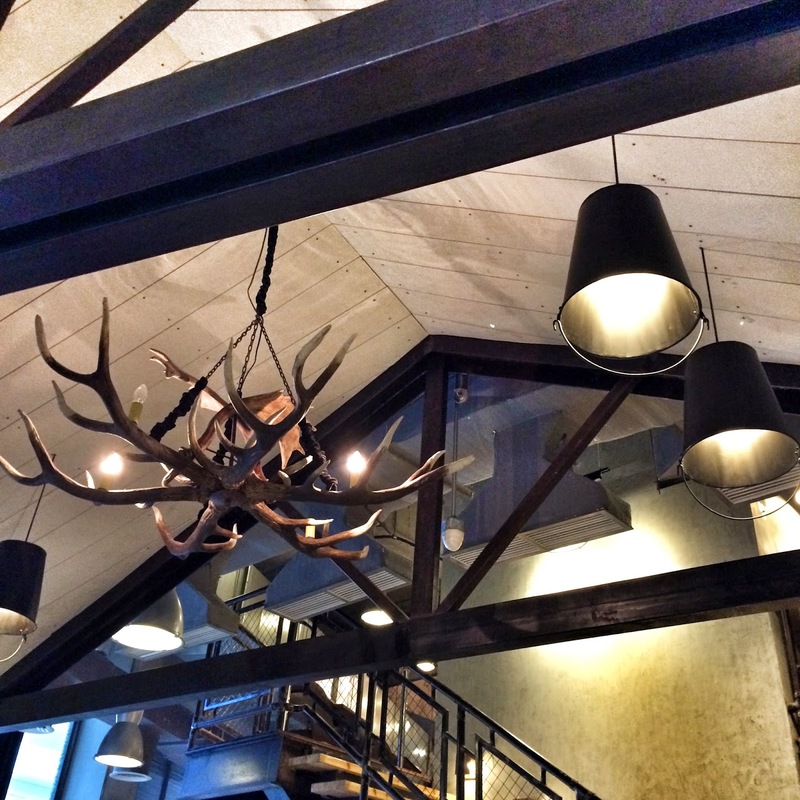 It shows that effort and thought were put into it and it makes whatever was made more special. Well, I always feel special when I receive one. I also find it fun to make one so it was such a thrill to make my own cookie! 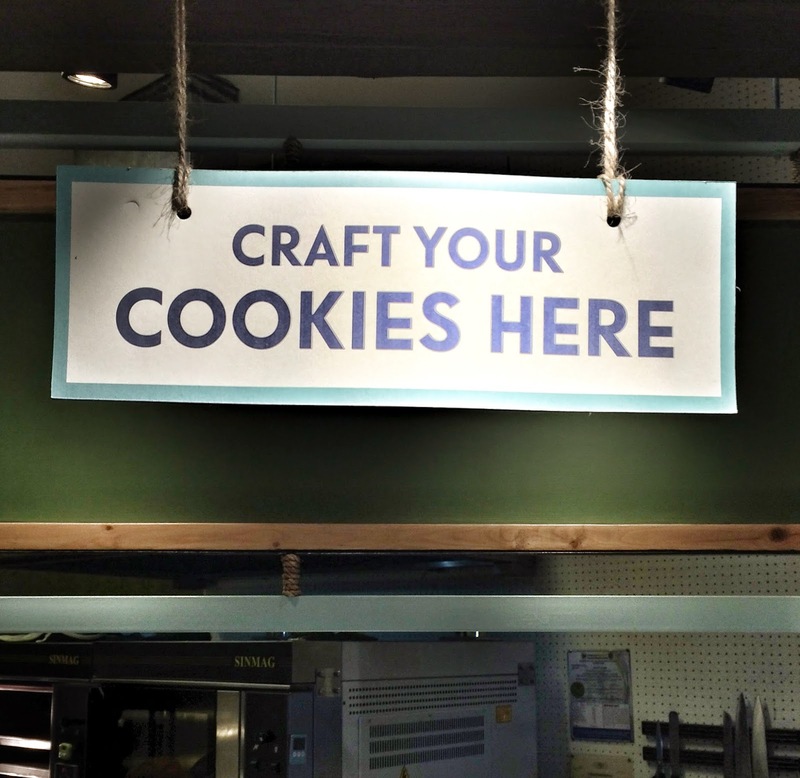 Curious where I crafted my own cookie? 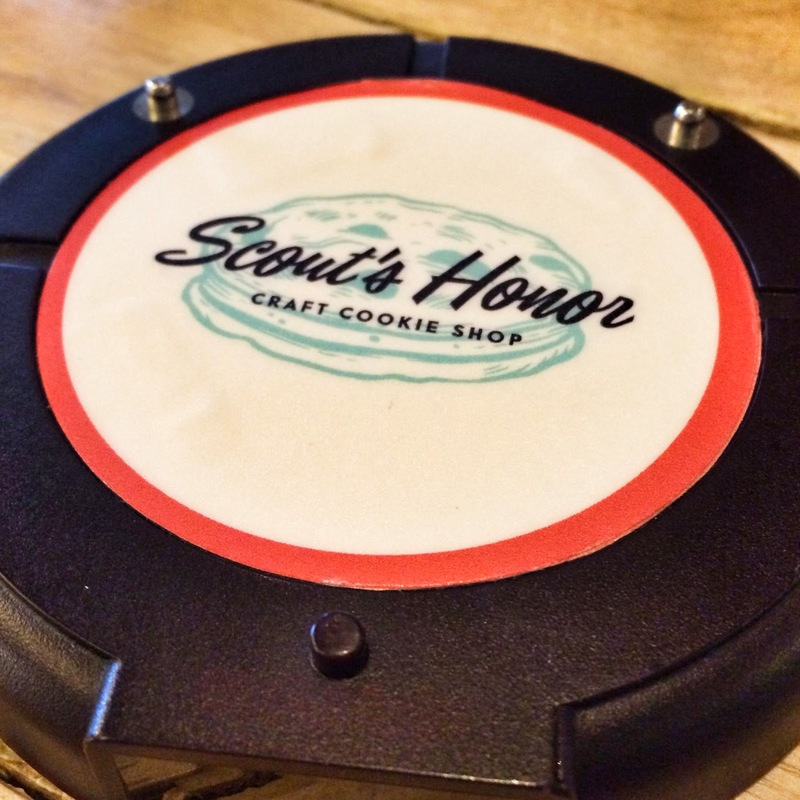 Scout’s Honor at Hole in the Wall. 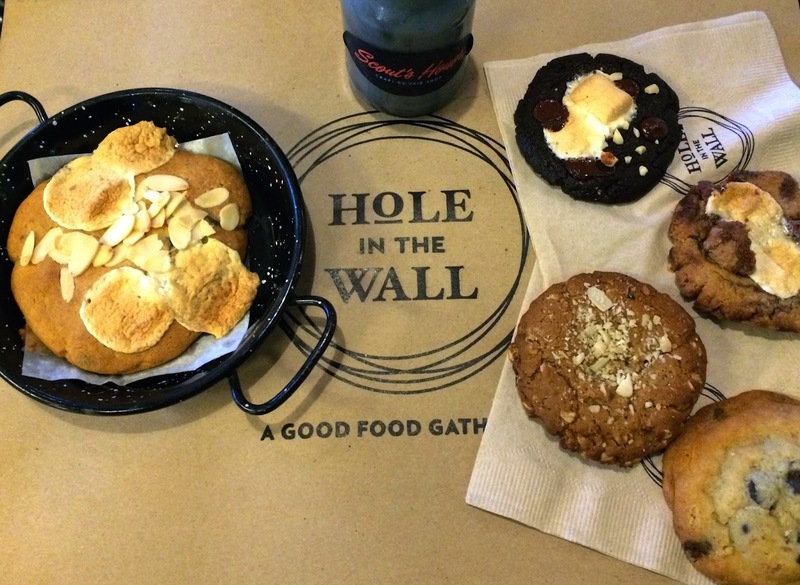 This cute cookie and milk place is the first thing you’ll see once you enter Hole in the Wall. 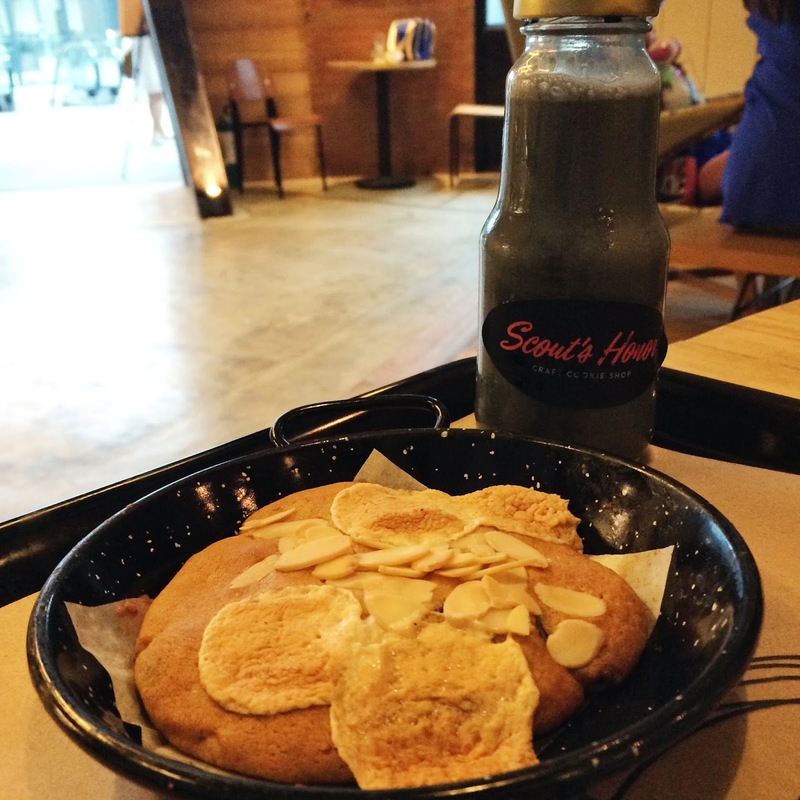 Scout’s Honor’s display of milk bottles and cookies will instantly make you salivate (if you love milk and cookies). 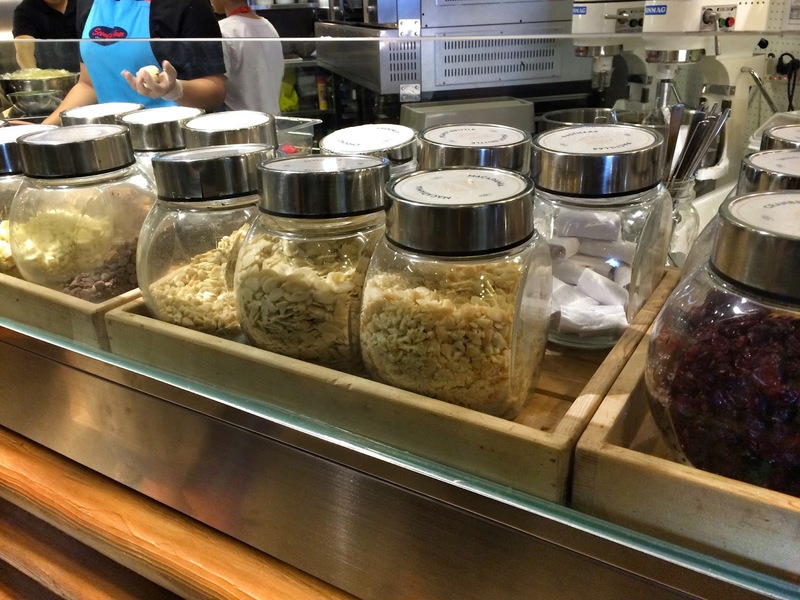 I was all oohs and aahs while checking the different ready-to-eat cookies, cookie dough, toppings and milk flavors. After much thought, I decided to get Cookie Inception (PHP95), Rocky Road, Peanut Butter and Nutty (PHP180 for 3 pieces—and yes, it has to be three pieces). 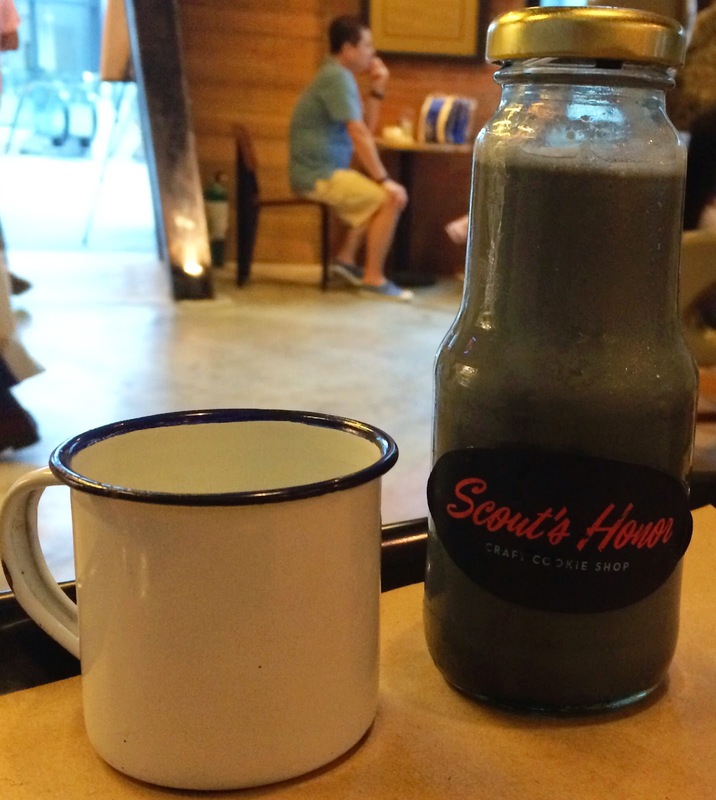 I also crafted my own cookie (PHP120) and got Bamboo Charcoal Milk (PHP110). True enough, I did love my cookie. It’s not that photogenic but the chewy dough and mallows with a slight bite from the almonds was divine! I love munching it warm with my cold milk. And speaking of milk, I got the bamboo charcoal milk because the server said that it “cleanses” the body. Since I’m trying to be healthier this year, I figured that it was the perfect match. Does it taste like bamboo or charcoal? Not at all. It just happens to be black but the taste was still very much like your usual milk. 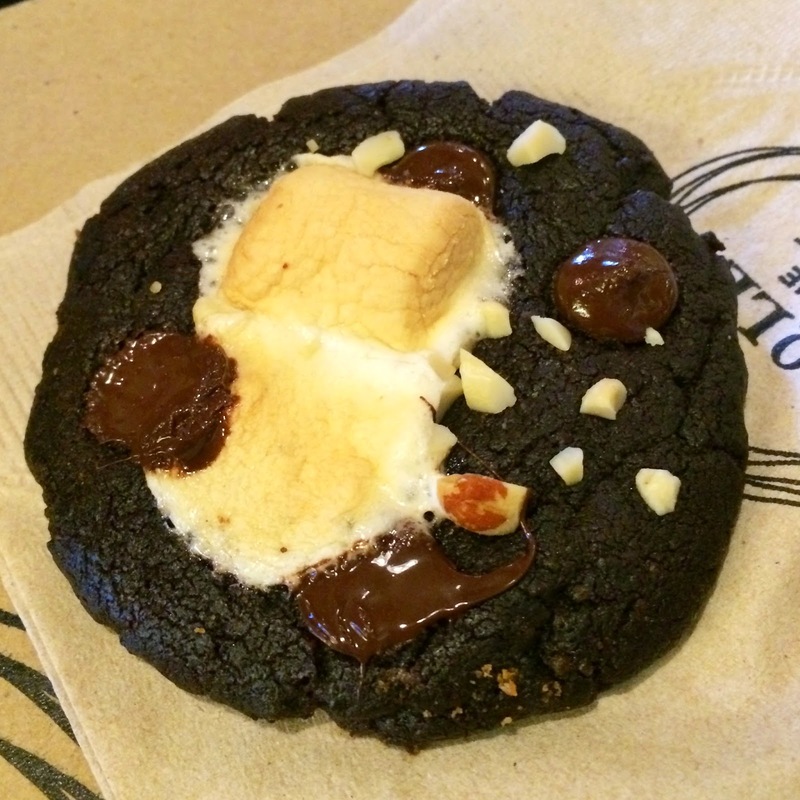 Peanut Butter cookie topped with Reese’s bits and marshmallows was pretty good too if you love Reese’s. It could be a tad too sweet though. 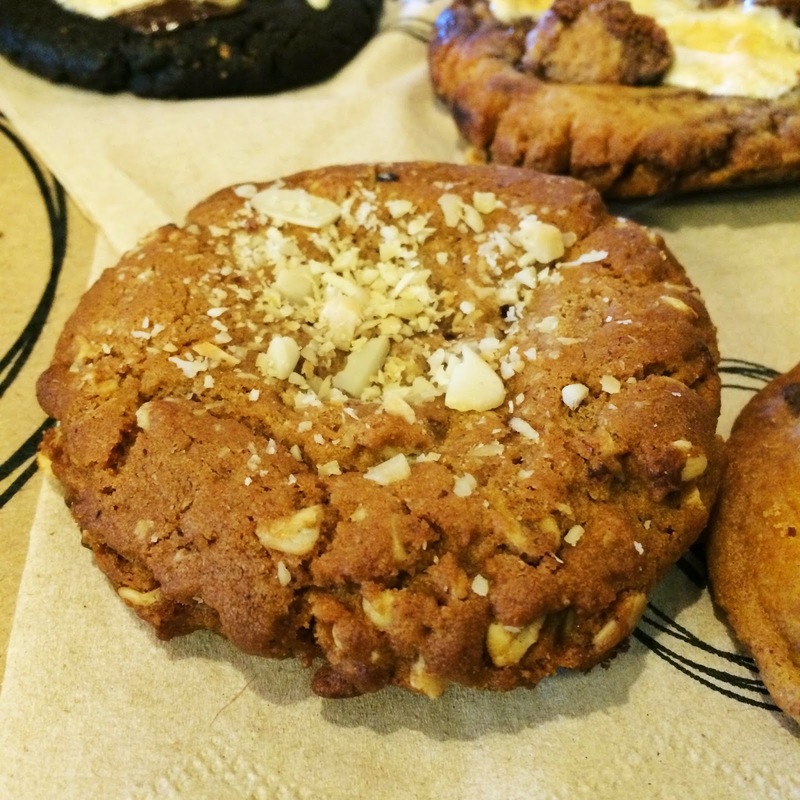 The Nutty cookie was pretty ordinary for me. I actually forgot its taste. 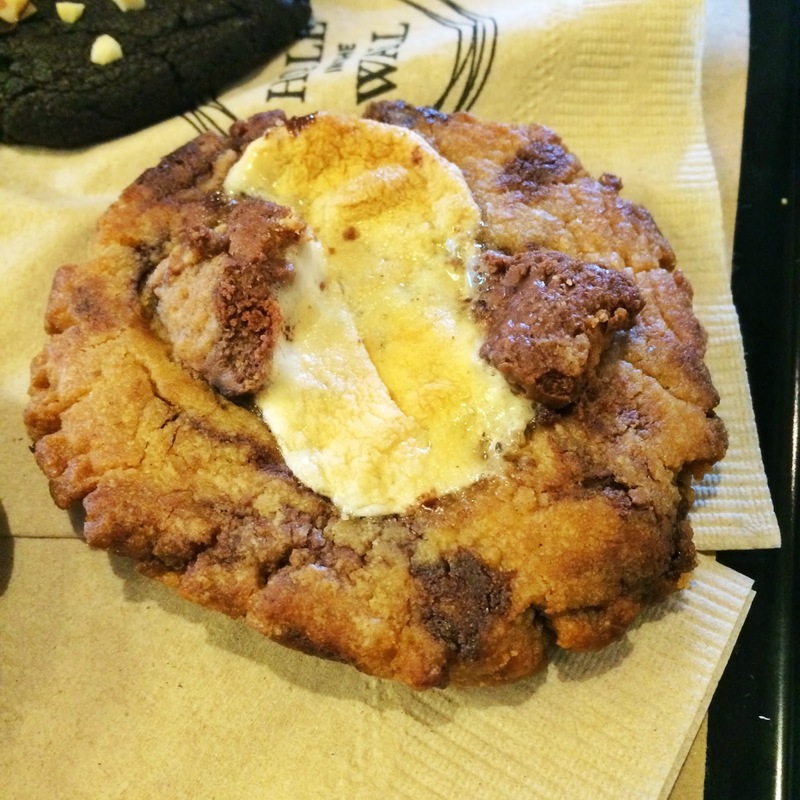 I wasn’t able to try the Cookie Inception which was inspired by the movie, you guessed it, Inception. 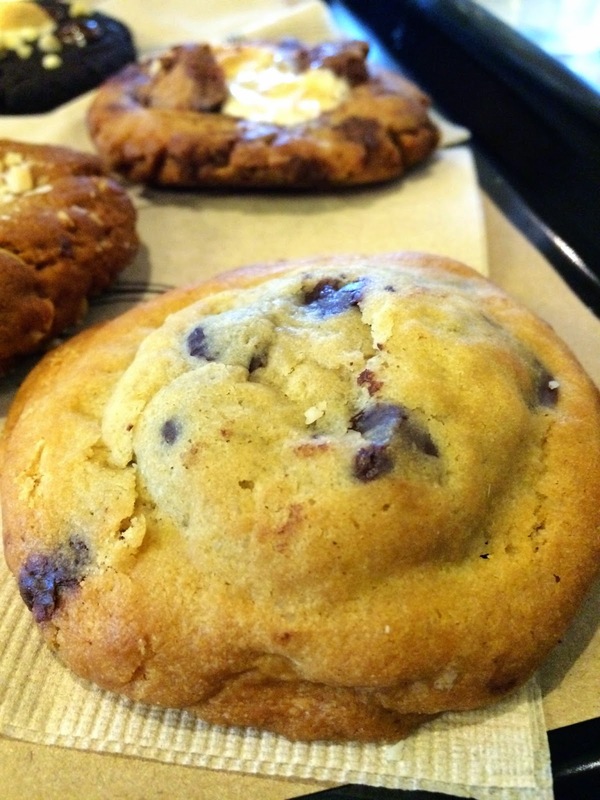 A cookie within a cookie within a cookie… sounds so cool, right? My sister told me though that it was too sweet for her. Well, Oreo wrapped in a chocolate chip cookie does sound sweet. 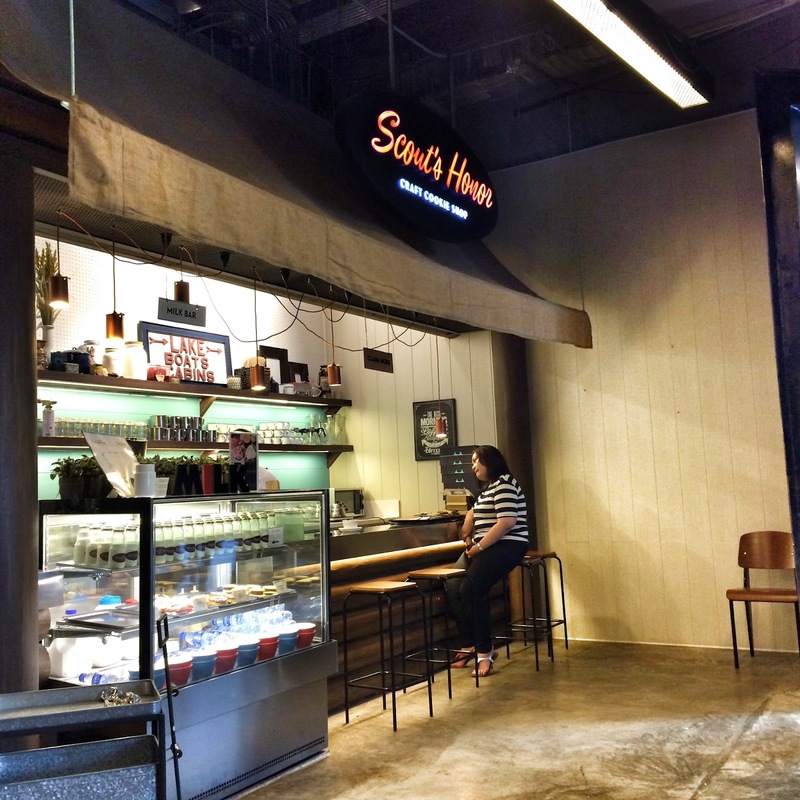 Scout’s Honor is located at 4th Floor, Hole in the Wall, Century City Mall, Kalayaan Avenue, corner Salamanca st. Barangay Poblacion, Makati City.